Helping Hands is your fundraising solution. Selling Hoffman Car Wash Tickets is simple and quick and profitable. Your organization receives 50% profit on all of the Car Wash tickets sold! No minimum orders needed. 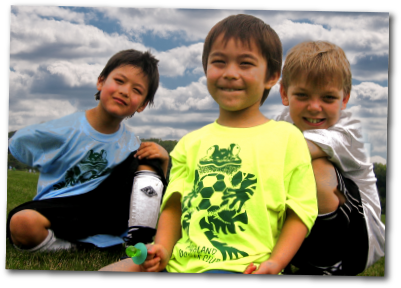 It's a perfect fundraiser for any sized school, church, organization, or group and works well at any time of the year. Let Helping Hands help you reach your fundraising goals by selling what everybody loves - a clean car! 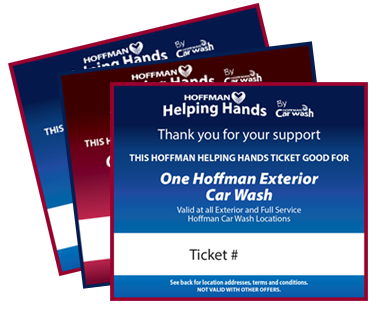 Helping Hands allows your group to sell Full-Service or Exterior Hoffman Car Wash tickets and keep 50% of the funds that you raise. Use traditional order forms and coupons for your members or online ordering to increase your selling opportunities through etickets delivered right to the customer's email or mobile device. Helping Hands also offers online organizational tools for the Fundraising Chairperson with great social media features. Everything you need to make your fundraiser a success. Your group makes 50% profit on every car wash sold - among the highest percentage of profit for fundraisers. A Hoffman Car Wash is good for the earth and a healthy alternative to the typical candy fundraiser. Support a local company -- Hoffman Car Wash has been a family-run business in this community since 1965. 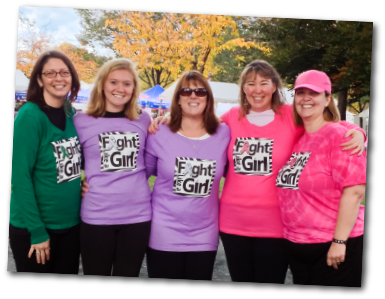 Online ordering, a customizable home page and social media options make it easier to fundraise. 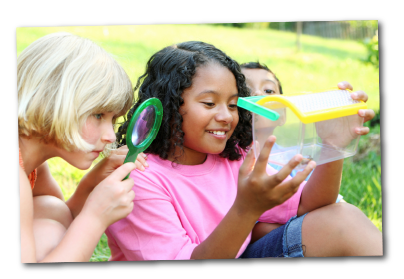 Raising funds for a school or sports group? A senior organization or a church project? Large or small, Helping Hands can work for you. And it's super simple, too! Since 1965 Hoffman Car Wash has been dedicated to supporting the local community. The Helping Hands fundraiser has helped over 1,000 local charities and groups and has earned millions for their worthy causes. Let Helping Hands help you too! The secret to a successful fundraiser: Sell something everyone wants and needs. Helping Hands offers two kinds of Hoffman Car Wash Tickets – Exterior and Full-Service. Easy to sell and simple to organize.